Sydney singer songwriter Odette mixes spoken word and soulful vocals. In an exquisite solo performance on piano and vocals, Odette sings “Watch Me Read You” at TEDxSydney 2018. 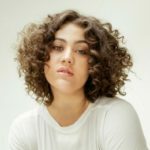 Sydney based singer-songwriter Odette is one of the global artists to watch in 2018. Captivating in presence, Odette’s songs are deeply personal and see her flutter from spoken word into warm, soulful vocals, with arrangements circling soul, jazz and pop.